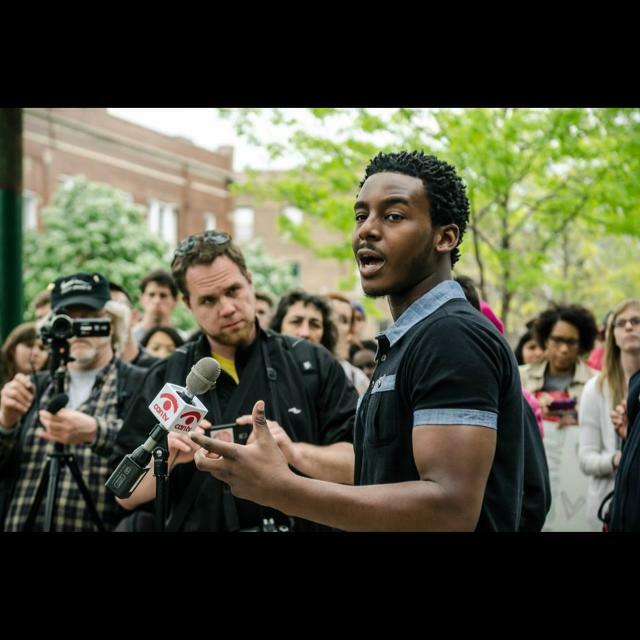 MALCOLM LONDON, called the Gil-Scott Heron of this generation by Cornel West, is an internationally recognized Chicago poet, activist & educator. 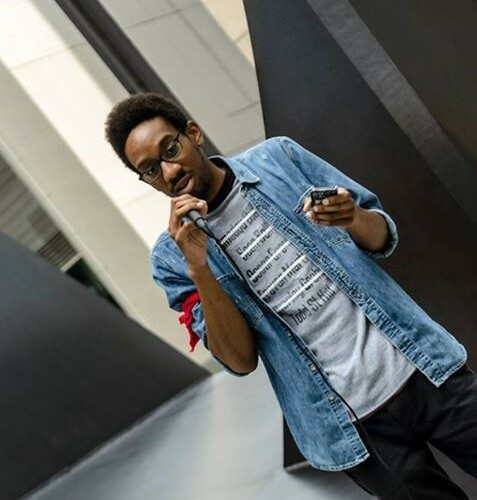 In 2011, Malcolm won the Louder Than A Bomb youth poetry slam in his native Chicago, scooping the top award as both individual performer & with a team. Since then, Malcolm’s work has been featured on national outlets including CBS, NPR, Huffington Post, The Root, and the Chicago Tribune. He appeared on the first ever televised TED Talk with John Legend & Bill Gates & has shared stages with actor Matt Damon & rapper Lupe Fiasco as a part of the The People Speak, Live! cast. He also appears on Season 2 of TVOne’s Verses & Flow. Malcolm recently wrote & directed a spoken word infused play responding to the Zimmerman verdict called Two Years Later at the Goodman Theatre with an ensemble of five youth poets. He is a member of the Young Adult Council of the prestigious Steppenwolf Theater. Malcolm currently attends University of Illinois at Chicago. 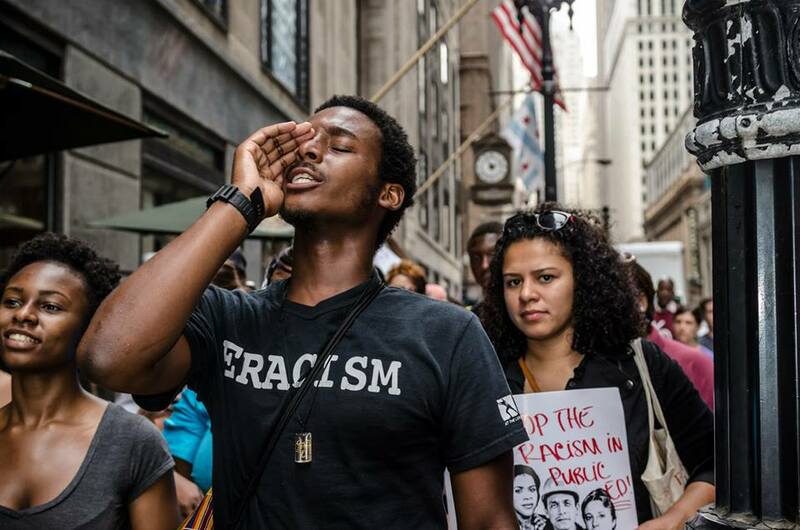 He is s a member and co-chair of BYP100 Chicago Chapter, a national organization of black activists & organizers. Deeply interested in working on ways to improve the national education system, Malcolm regularly visits high schools, youth jails, colleges and communities to work with students on writing workshops and performances. Malcolm is devoted to being a youth advocate. 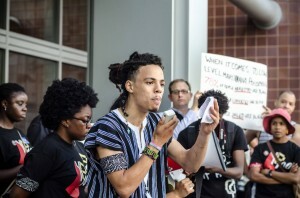 He is the coordinator of The Know Your Rights Project out of Northwestern Law School, a project dedicated to educating young people on their rights within the juvenile justice system. He also a teaching artist on staff at Young Chicago Authors, a program working to transform the lives of young people by cultivating their voices through writing, publication and performance education. We are thrilled and grateful for the outpouring of support from Chicago and around the nation. 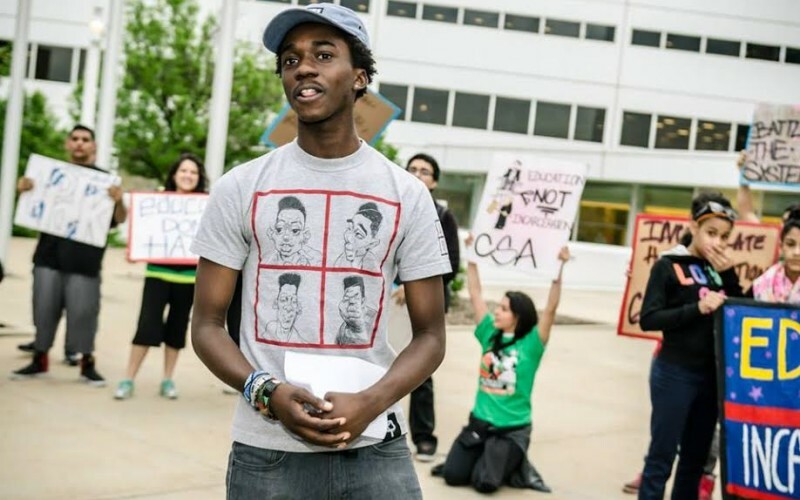 We are now able to send two additional youth organizers as part of a delegation of young people that will present our report on police violence to the United Nations Committee Against Torture in Geneva. We could not have done this without your support. Today, we are featuring the profiles of the two new delegation members. The first is Asha Rose, who is 20 years old. Asha is from Oak Park, just west of Chicago. My name is Asha Rosa. 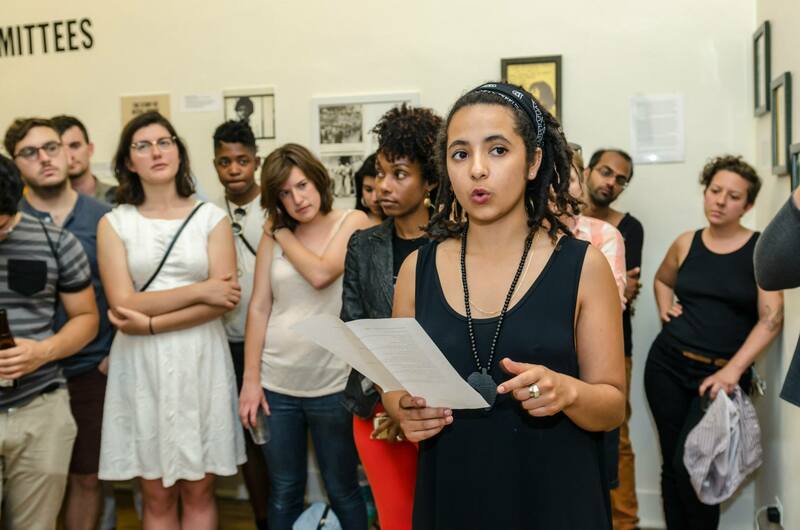 I’m an organizer, student, and poet. I’m 20 years old and grew up in Oak Park, a suburb just west of Chicago. 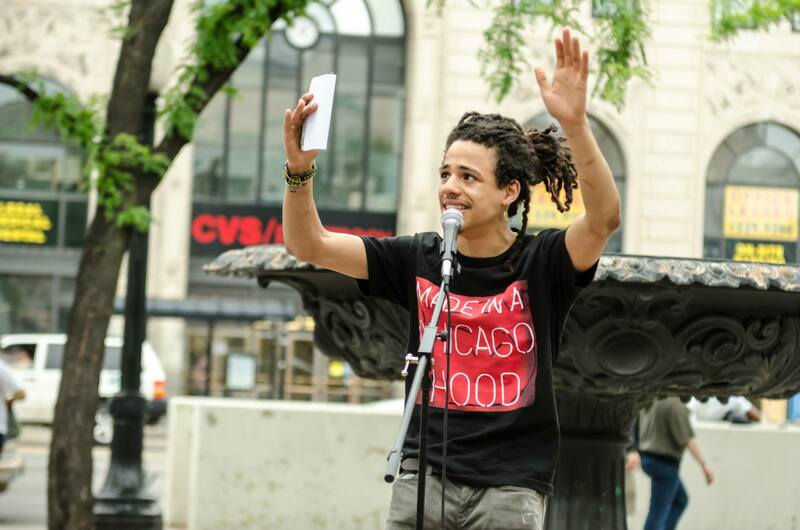 I was politicized via the poetry slams of Chicago, a legacy of fighting for change inherited from my immediate family & generations of Black folks, and in a little family of prison abolitionists in the Malcolm X Lounge at Columbia University. Much of my work deals with how power gets tangled up and hard to understand. 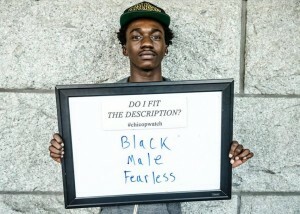 Having started organizing as a Black college student, I grapple with the contradiction between identity & privilege. 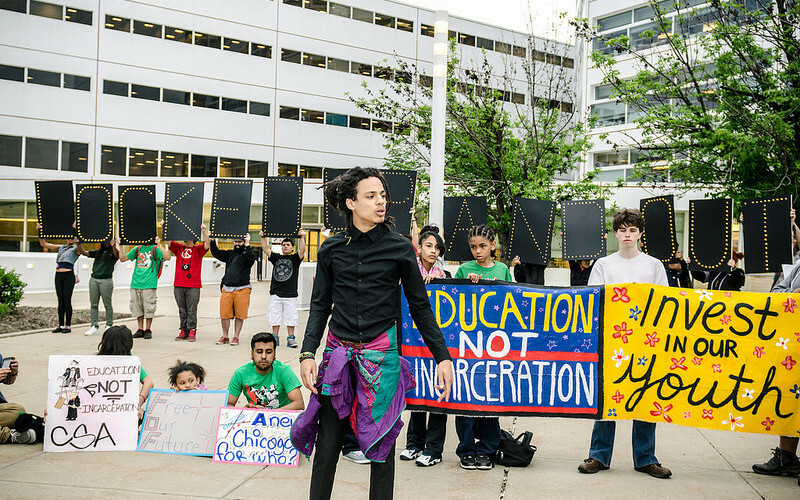 Institutions like universities often work to silence challenges to racist, classist systems of criminalization and incarceration by spreading the lie that college students aren’t a part of those systems. It’s important to recognize that the same way dominant notions of who is criminal are defined by Blackness, notions of who is victim or who is successful are determined by anti-Backness. To move through and be a Black exception in such a system without challenging it, is to deny one’s identity and submit to white supremacy. To be Black and still alive after the New Jersey 4, after Trayvon Martin, after Renisha McBride, after Mike Brown, presents a similar responsibility. 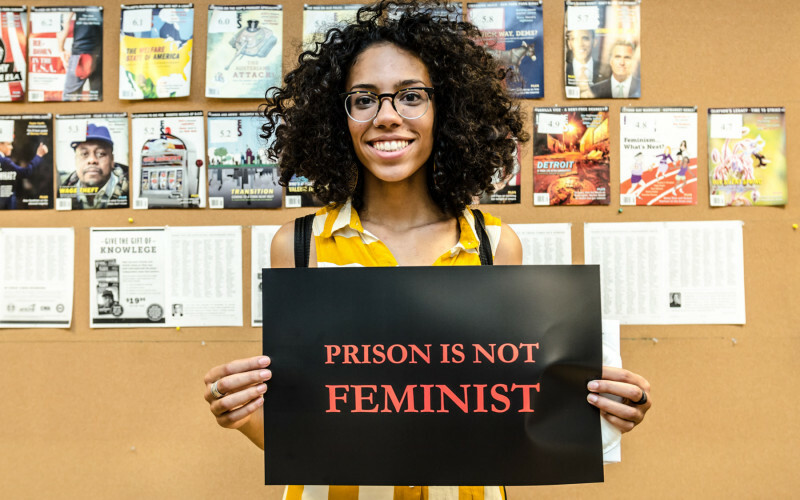 I joined Students Against Mass Incarceration during my first year of college and have since been engaged in anti-prison and anti-policing work. 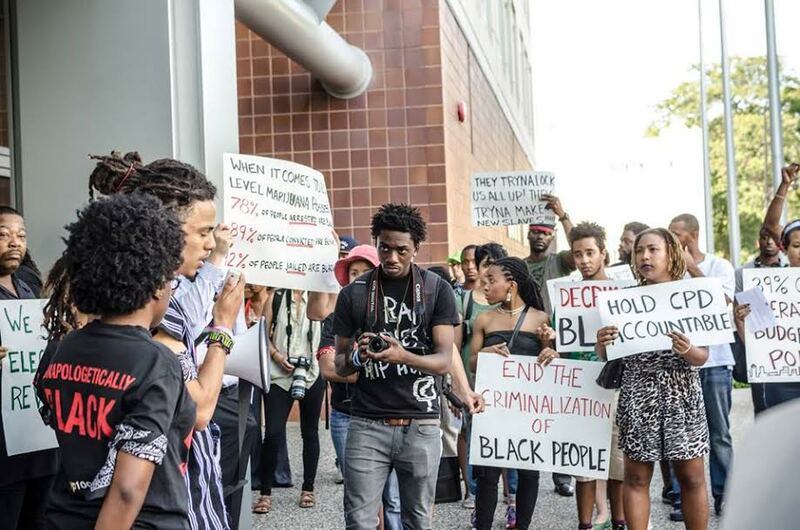 I am also an original member of the Black Youth Project 100, a group formed out of the collective moment of trauma experienced when George Zimmerman was found not guilty and we were reminded that the U.S. criminal justice system fundamentally does not work for our people. My organizing is informed by a radical Black queer feminist lens, a prison abolition framework, and Assata Shakur’s instructions: “It is our duty to fight. It is our duty to win. We must love each other and protect each other. We have nothing to lose but our chains.” I want to bring this perspective on how criminalization works to Geneva and I’m proud to be a part of this delegation because I’m young, but my commitment is lifelong. I’m pretty sure fighting for liberation is the only thing I know. As we enter our second week of fundraising, we are thrilled and grateful for the outpouring of support to send a delegation of young people to present our report on police violence to the United Nations Committee Against Torture in Geneva. To date, we have raised over $11,500 online. We could not have done this without your support, and we are so grateful to everyone who are using the #chicopwatch hashtag, spreading the word about our Police Encounter Line, participating in Copwatch trainings, donating time and money as well as sharing the link to our fundraiser via social media, email, and word of mouth. 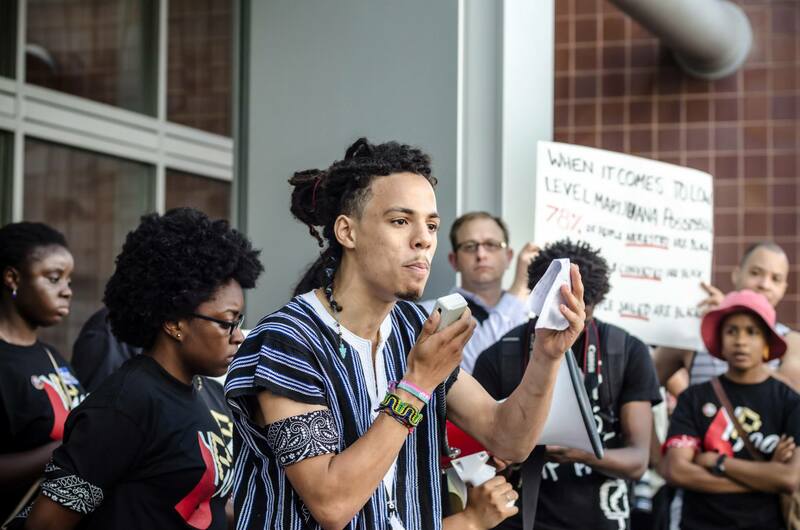 Please continue to do so, and we are confident that we will not only be able to send our delegation to the UN but also build the foundation for long-term work around resistance to police violence in Chicago. In addition to our online fundraiser, people are organizing to raise funds through a Dozen Dinners for We Charge Genocide and a Dozen Faith/Spiritual/Religious Communities for We Charge Genocide. Please visit those links for more information on how you can get involved. We are hoping that these events will raise awareness on the work of We Charge Genocide and encourage people to reflect on what they can do to actively participate and to support the young people who are leading this work. Today, we are featuring the profile of our last member of the delegation to Geneva. 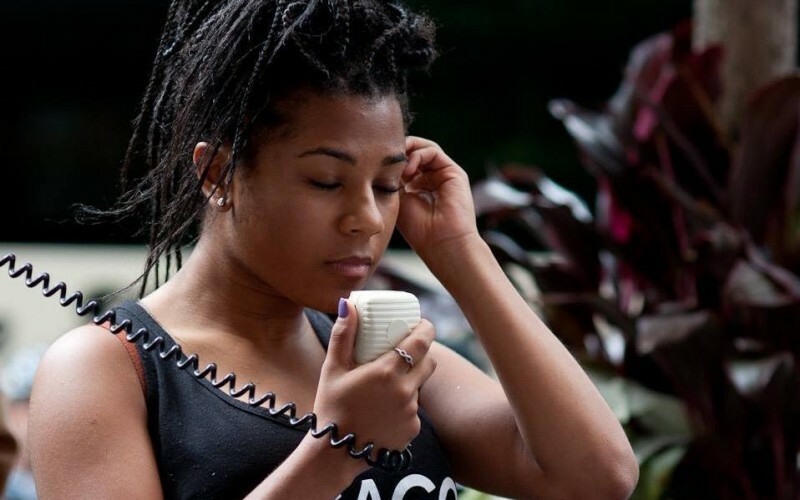 Breanna Champion is a 21 year-old organizer who is active in a number of Chicago area grassroots organizations. I am a lifelong student, organizer, personal is political advocate, and black woman living on the south side of Chicago fighting to change the inequities I see every day. 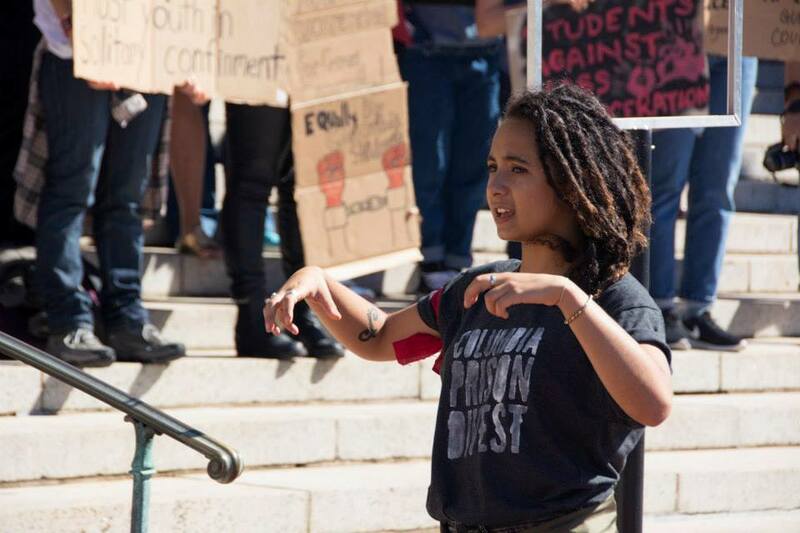 I would describe my activism as self-interested and continually growing as I battle between fighting against the perils I face as a black woman who has worked countless minimum wage jobs to pay for an already expensive college education and the struggles my brothers specifically have to face as black men in this country; us as black people in this world. I want to go to Geneva to present our report to the UN because the actualization of this report is really important to me. It gives a voice to people like myself and my brother who has been physically assaulted by the police, in order to change the terror we have to deal with in this country daily and especially by law enforcement. I am currently a field organizer for Chicago Votes, core leader of the IIRON student network & Roots of Justice at UIC, and organizer with the Black Youth Project 100. Please help Breanna and the rest of We Charge Genocide’s delegation get to Geneva to present their report before the United Nations Committee Against Torture. Donate online here, organize a dinner/party fundraiser, or ask your congregation to take a special collection to send these young people to Geneva, and keep spreading the word! 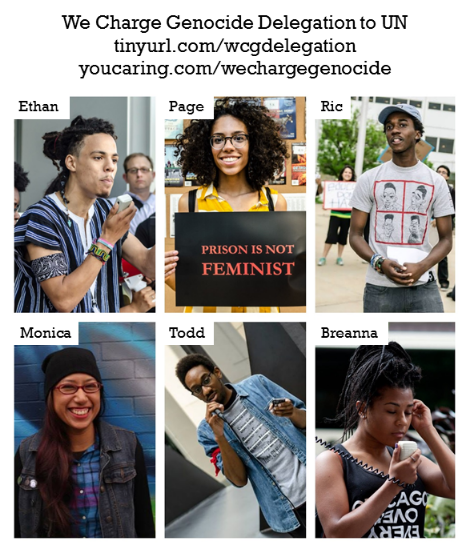 What an incredible first week of fundraising for the We Charge Genocide delegation to Geneva to present our report on police violence before the United Nations! We raised over $10,000 of our $15,000 goal and were able to secure plane tickets this weekend for all six delegation members. We could not have done this without your support, and we are so grateful to everyone who has donated time and money as well as shared the link to our fundraiser via social media, email, and word of mouth. Please continue to do so, and we are confident that we will meet our goal. In addition to our online fundraiser, other ways people are organizing to raise funds is through a Dozen Dinners for We Charge Genocide and a Dozen Faith/Spiritual/Religious Communities for We Charge Genocide. We have two more WCG Geneva Delegation profiles to share, and today we are featuring Todd St. Hill, who has been actively organizing with WCG’s Cop Watch training group. Growing up as a Trinidadian in Washington DC, and then moving to Chicago, I immediately noticed the parallel conditions of black life between the two cities. I’ve have been witness to violence in black communities by the police, and experienced it first hand. It is this experience that has driven me to speak out against the injustices that too many people of color experience. I am caring and sincere when speaking to people and try to meet people where they are, geographically, politically, or emotionally. I and any of the people I have the privilege of working with and learn from envision a world free of oppression and exploitation. Also I see these times (as hard for the majority of people as it is) as a time where the systems of oppression and exploitation are most vulnerable, where the cracks in these systems are most visible. I see my activism as throwing a wedge in those cracks and prying them open as wide as I can, with the hope that this system will fall. Going to Geneva would be a particularly good opportunity for me and/or for anyone who sees themselves as a lifelong organizer. 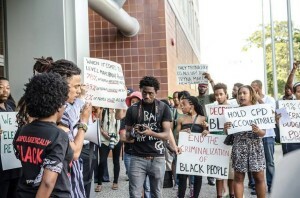 However, I have come to realize that it is not enough to simply organize and agitate in the streets (though that is very important), it is also important for ordinary people, who are disproportionately black and brown, to be as involved and visible in the decision making processes that affect their lives. The way I see it, too many State, Federal, and Global legislation are created by people who are not at all affected by the legislation they create. Ordinary people are often left out of these decision making processes, and it is important that we understand what that process is if we are to radically change it for our betterment. This is an opportunity to represent a layer of people whose voices are not heard enough, if at all. Please help Todd and the rest of We Charge Genocide’s delegation get to Geneva to present their report before the United Nations Committee Against Torture. Donate online here, organize a dinner/party fundraiser, or ask your congregation to take a special collection to send these young people to Geneva, and keep spreading the word! We had an exciting day yesterday fundraising to get our delegation of young people to Geneva this November to present a report to the United Nations on police violence targeting youth of color. We raised over $3,300 in one day, and after four days of fundraising, we already surpassed the 50% mark of our $15,000 goal. 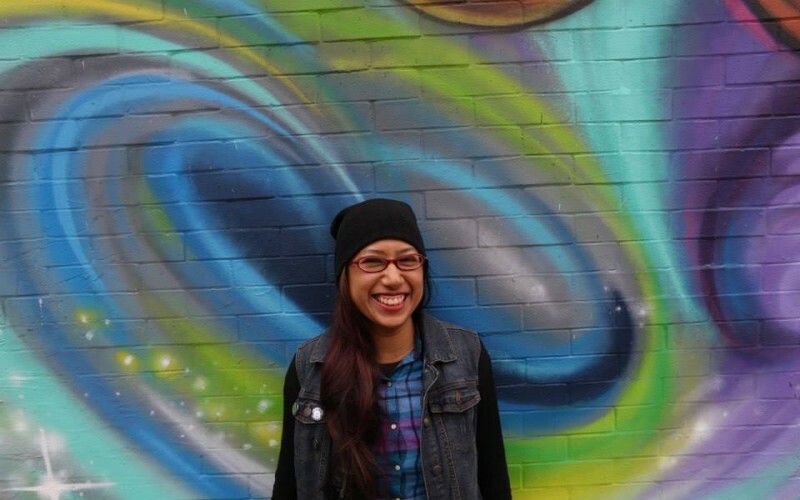 This outpouring of support is indicative of grassroots resistance to police violence, and we believe that the young people of color whose lives are directly impacted by that violence will no doubt lead the fight against police violence in our communities. . Today, we are featuring the profile of another one of our delegation members, Monica Trinidad, who is a 28 year old organizer and an integral part of the social media team for We Charge Genocide as well as the Cop Watch trainings. I was born and raised on the far south side of Chicago, in the East Side/South Chicago communities. I grew up in these post-industrial neighborhoods at the bottom of Chicago, where passing through metal detectors and pat downs during high school and fields of crumbled, dilapidated buildings was a normal state of being. I often felt like the stories and voices of our communities were isolated from the rest of Chicago, not only because of distance, but because we were working-class, people of color. As a queer, mexican, artist, I believe that juxtaposing a restorative, abolitionist framework of organizing with creating new forms of self-expression through artwork and writing is critical as we challenge the invisibility imposed on us by white supremacy. 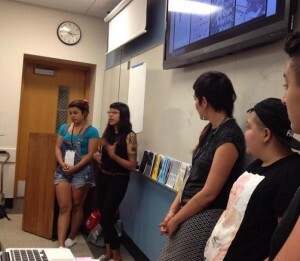 I co-founded Brown and Proud Press in 2012, with the intention of using the medium of zines (self-published, low-budget booklets) as an accessible way to gather the overlooked stories and struggles of queer, people of color. Aside from Brown & Proud Press, I am also currently a member of Chicago Action Medical and the Chicago Alliance to Free Marissa Alexander. While in Geneva, I hope to document our experiences with the proceedings via social media platforms. Without a doubt, I am going to Geneva because I believe that personal narrative is strong enough to affect major social change. 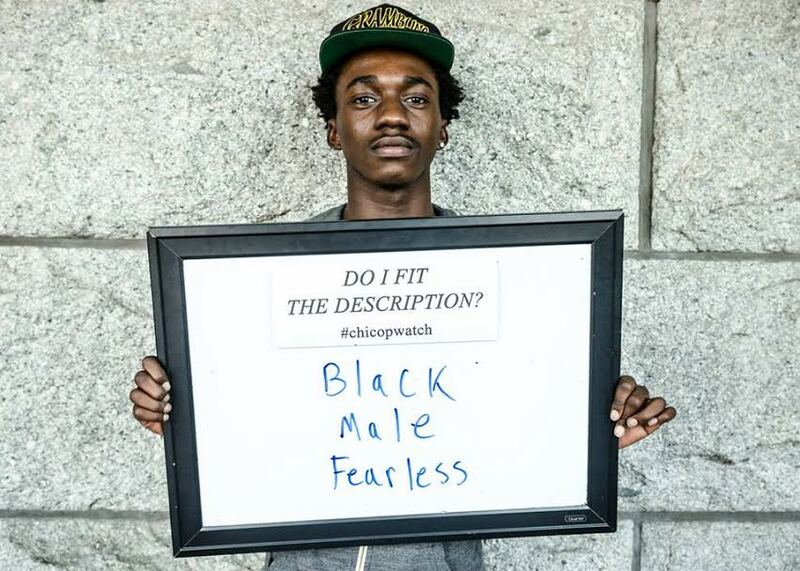 By verbalizing the experiences of Chicago youth of color at the hands of the Chicago Police Department, we are not only interrupting the silence around the struggles that youth of color live through in Chicago (and the rest of the U.S.), but also aiding in the dismantling of the systemic cycle of isolation, fear and disempowerment around our personal experiences as black and brown people. Please help Monica and the rest of We Charge Genocide’s delegation get to Geneva to present their report before the United Nations Committee Against Torture. Donate online here and spread the word! It’s been an amazing week so far fundraising to send 4-6 young Chicagoans to Geneva, Switzerland this November to present our report on the Chicago Police Department’s human rights violations to the United Nations. We have been exceeding our daily fundraising goals, and all 25 prints donated by artist Molly Crabapple to those who give $100+ have already been claimed. To date, we have raised over $6,500 online alone! Our goal this week is to raise enough money to be able to cover airfare before prices go any higher. I am a humble and fearlessly honest person. I believe fully in social justice and finding true happiness in one’s life (as long as it’s not oppressing others). I am uncomfortable being in this comfort zone and willing and open to new experience, people and learning methods (though not new food). I would describe my activism as radical: I like to describe myself as a prison abolitionist and full believer in restorative justice. My strength in activism is more on the educational side because I was taught and trained at the Chicago Freedom School. I am a good facilitator and educator. I have facilitated different types of workshops about activism and organizing. I believe that youth are a leading voice and power in the movement for social justice. Being a Chicago Freedom School Alumni (proudly), I believe that going to Geneva will further my learning and growth as an organizer. I also have a special contribution to make as a black young person directly impacted by oppressive policing. Please help Ric and the rest of We Charge Genocide’s delegation get to Geneva to present their report before the United Nations Committee Against Torture. Donate online here and spread the word! As we enter day #3 of fundraising to send 4-6 young Chicagoans to Geneva, Switzerland this November to present our report on the Chicago Police Department’s human rights violations to the United Nations, we are grateful to have raised over $3200 in just a couple days, and are excited that so many people are supporting this work. I am a Black, queer, woman who grew up in rural Vermont. That upbringing, my family, and our experiences have deeply influenced my awareness of oppression and commitment to organizing. I spend a lot of time reading and thinking about connections between Blackness/Anti-Blackness, the PIC, and how categories of citizen/human/nature/animal are constructed and related to violence. Moving to Chicago four years ago was profoundly politicizing for me. The city’s rich community of activists and deep history of struggle have connected me to organizing and supported my ongoing political education. My activism has centered on youth, environment, and the PIC. In addition to We Charge Genocide, I organize with Black & Pink: Chicago and am a member of the PIC Teaching Collective. Throughout all of my work, I strive to challenge anti-blackness and develop a Black, queer, feminist politic. I’m interested in going to Geneva as one of the authors of the report: I’m hoping to be a useful reference for the data and testimonies included in our paper, and to speak to my own experiences with the CPD. I’m also excited to be in Geneva pushing for UN recognition of our demands, and witness to the US government’s response to charges of ongoing torture against young people of color. Please help Page and the rest of We Charge Genocide’s delegation get to Geneva to present their report before the United Nations Committee Against Torture. Donate online here and spread the word!